This is a guest post written by Josh Gibbs of SwiftlyLearnChinese.com. SwiftlyLearnChinese is a site that helps people learn Chinese quickly for free with Chinese learning tips, strategies, and vocabulary lists. Check it out. Everybody has heard of the typical ways of practicing a language; flashcards, repetitive sentences, structured conversations from textbooks. The list goes on. These strategies can be effective, however, anyone who has tried them knows they are not the most exciting activities on the planet. In fact, they can end up discouraging study because they are so boring. Eventually, they can even take away from the language learning experience because of the sheer boredom they cause. But don’t fear! There are tons of ways to practice a language that are both fun to do and effective in helping you master a new language. Children’s books are essentially very simple stories. They have simple plots, grammar, and vocabulary. 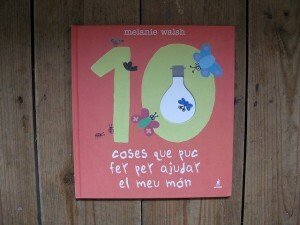 Children’s books also have pictures, so even with a very limited vocabulary you will be able to understand the story. You will be able to pick up some of the vocabulary and grammar patterns just by looking at the pictures. Memorizing a story can be a big plus too. Memorization will ingrain the story’s grammar patterns and vocabulary used into your brain, allowing you to use them for your own purposes later. Children’s books are everywhere. You can go to a local bookstore and they will likely have a section for foreign language books. There may even be a bookstore in your area dedicated solely to books in the language you are studying. 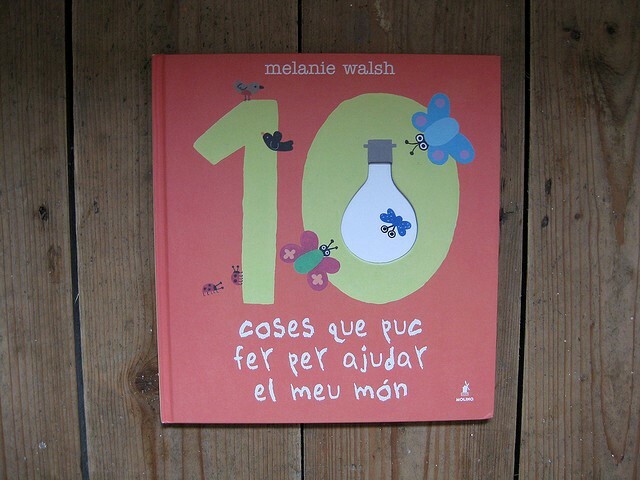 Amazon is also a great resource for finding foreign language children’s books. Look for the left sidebar and simply check the language you wish to read a book in. This strategy is all about immersion. If you are with people who are speaking your foreign language, you will learn the language. Make some friends who are Portuguese and ask them to not speak English. It is a very straightforward process to find people who speak the foreign language you are studying. Try Conversation Exchange for this. If you watch sports on a weekly or daily basis in your native language, you will see a huge benefit from watching sports in the language you are trying to learn. This is because of a few reasons. The first is that sports are a universal language. 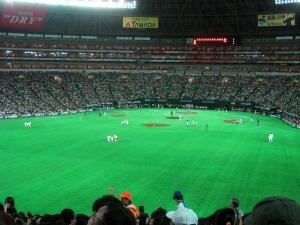 You can watch Japanese baseball even if you don’t speak Japanese. The ‘universal’ nature makes it easy to transition to gain proficiency in a language. Secondly, you will already know the patterns of what the announcers are saying. If you are watching Basketball in Spanish, you know that they are describing who is passing the ball to whom and when someone shoots. The third reason is that the ability to watch sports in your chosen language is accessible to most people. ESPN Deportes is a Spanish-language sports channel available to most people in the United States. Online, you can watch sports video highlights from matches that were announced in a different language. The final reason this is such a good strategy is that there are many sports that are played worldwide. You can find Baseball games being announced in English, Spanish, Portuguese, Japanese, Dutch, and Chinese. There isn’t a single major language that doesn’t have people announcing Soccer (Football) games. Basketball can be found in most major languages too. Reading about sports is also a good way to practice your reading in a foreign language. This tip is not about moving out of your country (although that would help in your language learning endeavors). The idea is to get a job at a Mexican restaurant, or a Middle-Eastern restaurant, or a Chinese restaurant. Most major languages have a specific type of food associated with that culture. The people who work at those specific types of restaurants tend to be from that restaurant’s associated culture, thus speaking that language. If you have the spare time or the need for a job, this is one of the best ways to learn, practice, and immerse yourself in a new language. This tip is not “Take a Foreign Language Class”. Most major cities around the world have cheap higher level education options that you can take advantage of. In the US, community colleges teach classes such as Programming classes, and Dance classes, and often times offer these classes in different languages. If you live near a community college that offers classes to speakers of your foreign language, be sure to check them out. Odds are you have a phone, a computer, and a few online accounts. If you change the language on each of these devices/accounts, you will be immersed in your foreign language. If the language you are studying is Spanish, change the language on your phone to Spanish. This way, whenever you use your phone, you are actively using Spanish. This leads to thinking in Spanish, and over time, fluency. If you navigate Facebook in Chinese, the same concept applies. Usually when you call customer support, they have a few language options. “For English, press one. For Espanol, press two. For Zhongwen, press three.” Does that sound familiar? If you are feeling especially adventurous and confident, this tip is definitely for you. This will force you to have a conversation in your foreign language. Language learning is all about exposure and practice. These tips allow daily opportunities to practice your language. These tips are substantially easier to do than dedicating time to study, because these are things you do every day anyway. If you have to get a part time job to pay for tuition, get a job where you can practice the language you are studying. If you are going to learn how to Salsa Dance, you might as well learn it in the language you are studying. People too often think they don’t have enough time to practice a foreign language. With these strategies, you will build practice into your daily life and launch yourself into fluency with a speed you can’t even imagine! Haha, well it’s all relative I guess 🙂 But you’d be surprised at the amount of people that cannot even fathom learning/practicing a language outside of a classroom (at least before several years of study)! I find most children’s books in any language much harder for most beginners as they have words adults may not use often and they are often not easier as they are written for fully fluent beings. Sports doesn’t work for me but learning a new hobby in the language is a good idea as you speak while doing and see the actions connected to the words. While some children’s books may not be the most appropriate (for example, some contain too many onomatopoeia or too few meaningful sentences), I would argue that most could make a great resource to practice a language in the early to intermediate stages of language learning. The choice is so wide that there is bound to be a wide selection of books that match your level, skill, and interest. Also, I think Josh’s advice was geared toward language learners in general, not only beginners. I’ve read The Little Prince in Korean, for example, and I’ve found it really great. I guess you could say it’s not necessarily a children’s story, but the principle is the same. I’ve also read a few other books that were written for children and definitely found them useful and fun to go through. All very useful but not really unorthodox. So instead of reading Children’s book, I thought I would read news articles in Spanish and immerse my self more. For me it’s been super useful because I like to read the news, it interests me and I learn something new.